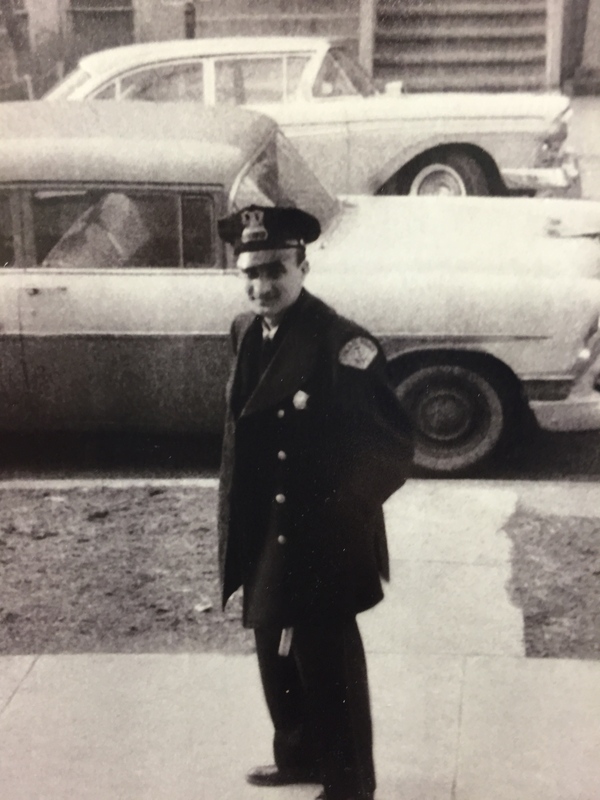 This wonderful photo of Bernie (Skip) Del Principe Jr (1931-1988) was sent to me by his daughter Sandy. It was taken on Dekalb St. 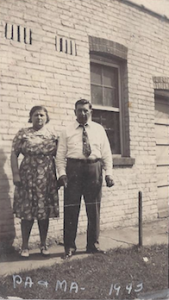 The 1940 census lists Bernie Sr and Florence’s address as 2031 Dekalb St. They were renting their home. Bernie’s occupation was a “packer” for a department store and his income for the year was $1,040.00. 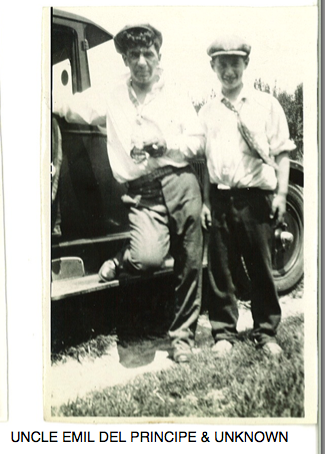 Sandy’s great grandfather Amelio (Emil) and my grandfather Gilbert were brothers. Below is the birth record for Bernard Sr. Click to enlarge. He was the first child born to Emil and Rose (age 17) at their home at 612 Jefferson St in Chicago on 14 Nov 1911. Emil’s occupation is Accordion Maker. Rose and Emil had four more children; Anne born in 1914, Nora born in 1915, William born in 1917, and Eleanore born in 1920. Bernard married Florence and they had four children; Bernard Jr (Skip), Rosemary, Patricia, and William. Skip was was a police officer for the city of Chicago. Click here for an obituary for Skip’s father Bernard Sr Obituary 1984 and for his mother Rose Solomon Rose 1957 Obituary. You can read more posts about Emil and Rose’s family by scrolling the right side of any page to the “categories” section and click on Amelio’s name. 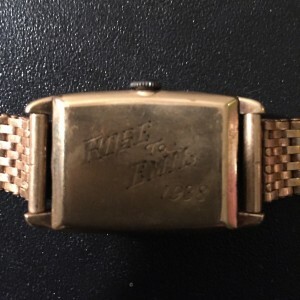 The photos below are of a watch given to Skip by his grandmother Rose. I’ll add them to our family heirloom page. 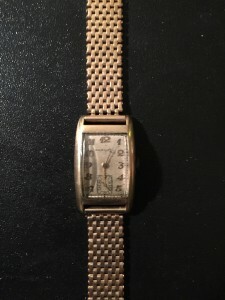 The inscription reads “Rose to Emil 1938”. Click to enlarge. Thank you so much for sharing these photos Sandy. It sure makes me happy when I get a message on this website from a “new” relative. Kathy posted the following comment “I am the granddaughter of Emil and Rose Del Principe and the daughter of their daughter Eleanore.” Kathy told me that she remembers Uncle Gilbert (my grandfather). Kathy has generously shared some memories and some wonderful family photos. Thank you Kathy for stories and photos of Emil and Rose and their descendants that have been missing from our lives for many years! Amelio (Emil) was the third son born in 1891 to Pietro and Elvira Del Principe. 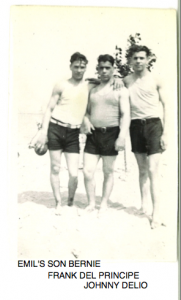 Emil immigrated from Pescasseroli, Italy with Elvira and his two older brothers Antonio and Giuseppe aboard the ship The Wester and arrived in the United States on August 21, 1893. Emil and his wife Rose Solomon had five children: Bernie, Anne, Nora Filomena (born in 1915, she survived only 12 days), William, and Eleanore. Click here for Bernard Del Principe’s Birth Record 14 Nov 1911. 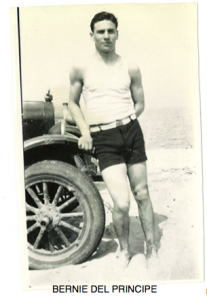 Emil worked for the Sears company in downtown Chicago and passed away in 1948. 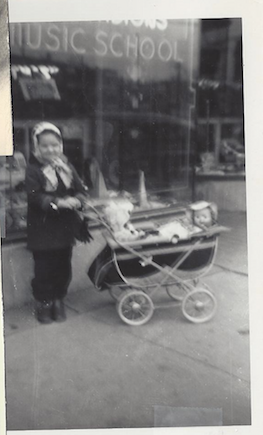 The photo below is Kathy in front of the music store at 5516 W. North Ave. Rose lived above the store with daughter Annie and her husband Henry after Emil passed away. Next door at 5518 W North Ave was the Chicago Public Library. Kathy lived in the back apartment with her sister Emilia (CeeCee) and parents, Eleanore (Emil’s daughter) and Ted until she married in 1966. Emil’s son William and spouse Caroline lived in the front apartment. Emil’s son Bernie and wife Florence lived across the street at 5517 W North Ave with their 3 children Bernie (Skip), Patricia, and Rosemary. Once again you can see that back in the “olden” days families did not move far away from each other which is one of the reasons I love my large Italian family! 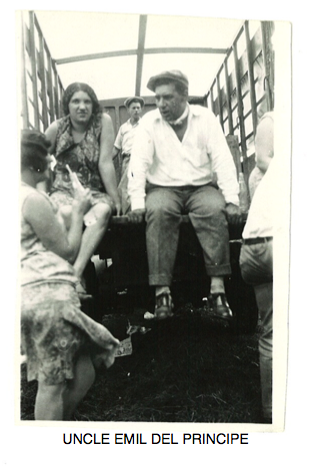 Emil and Rose Solomon had four children: Bernard (Bernie), Anne, William (Willie), and Eleanor. They raised their children in the apartment above the music store at 5518 West North Avenue in Chicago. Emil ran the music store until 1960, then Otto and Frank took over. In the photos: top left is Emil, top right is Emil’s son Bernie, bottom right is Emil (possibly with his son Willie), and bottom left is Emil’s son Bernie with Frank (Luke). Click on any photo to enlarge it.